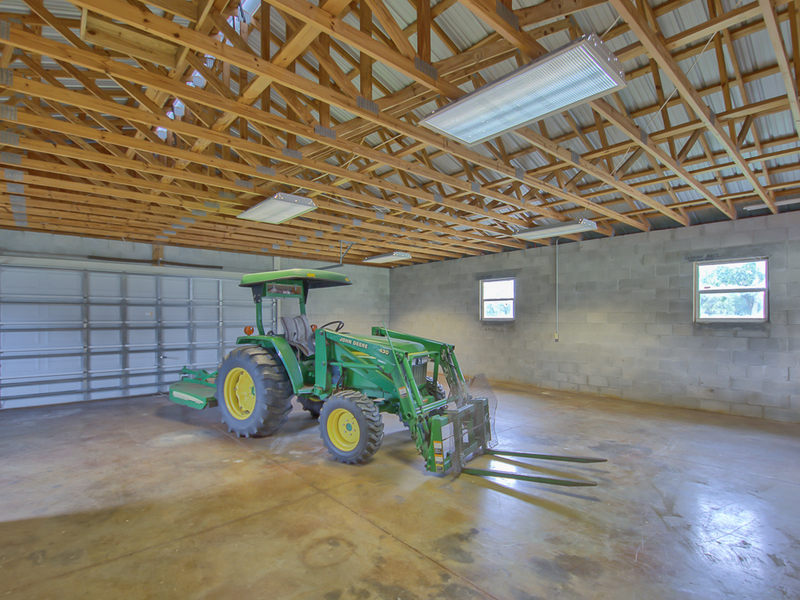 10-acres west of Oxford in farm & horse country is the setting for this well-planned, custom 3 bed/2.5 bath home! 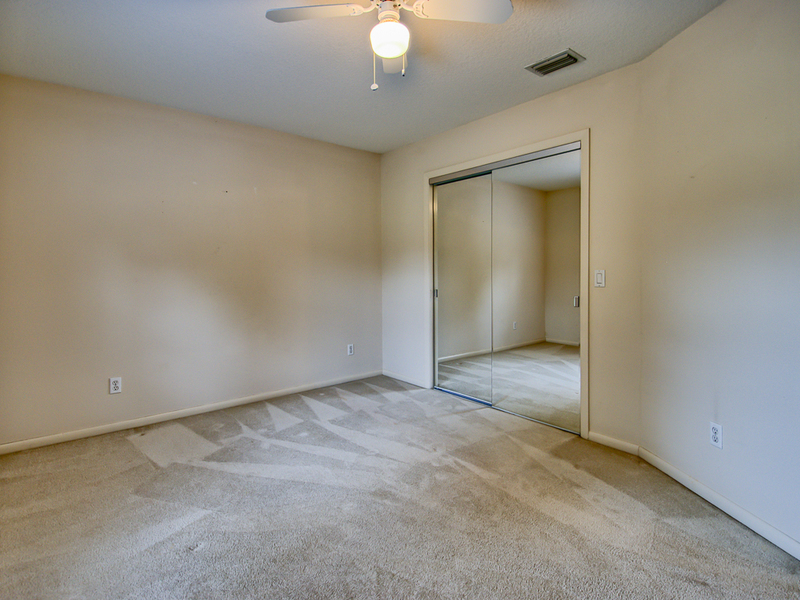 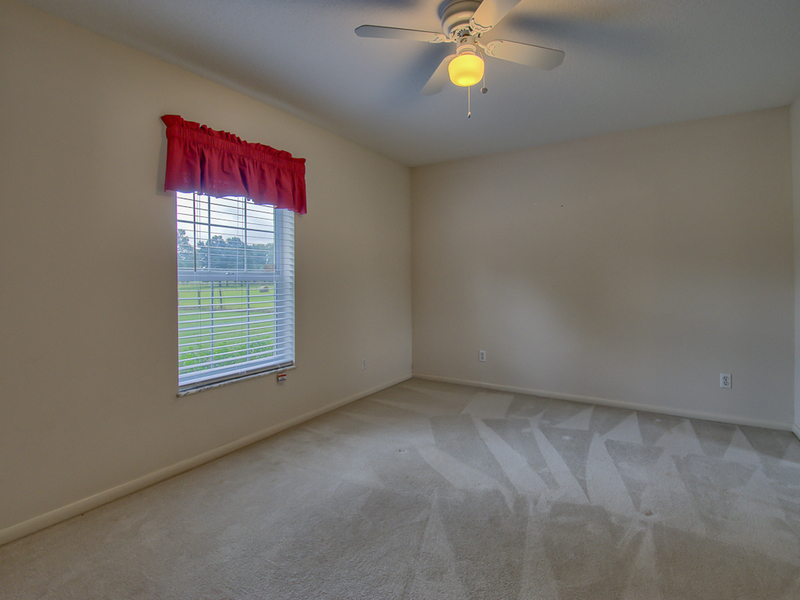 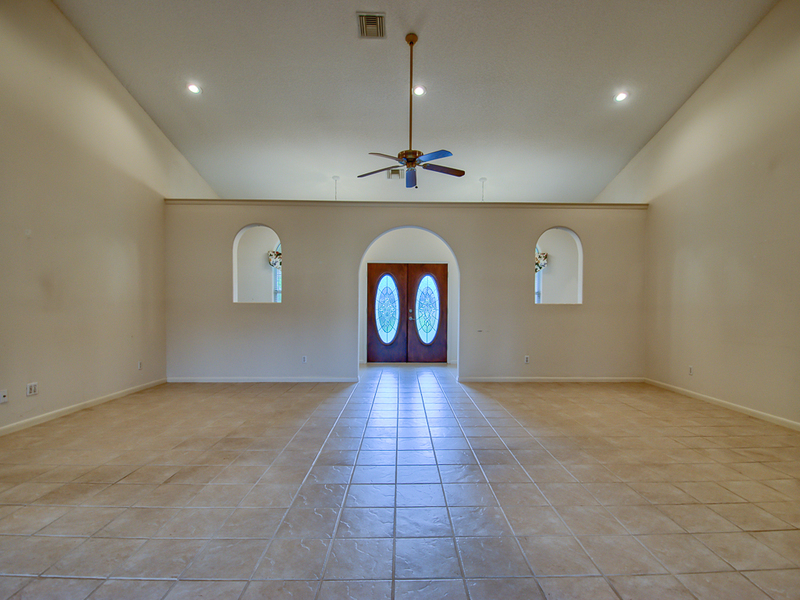 A very impressive gallery leads to the bedrooms, great room and separate dining room (or bonus room). 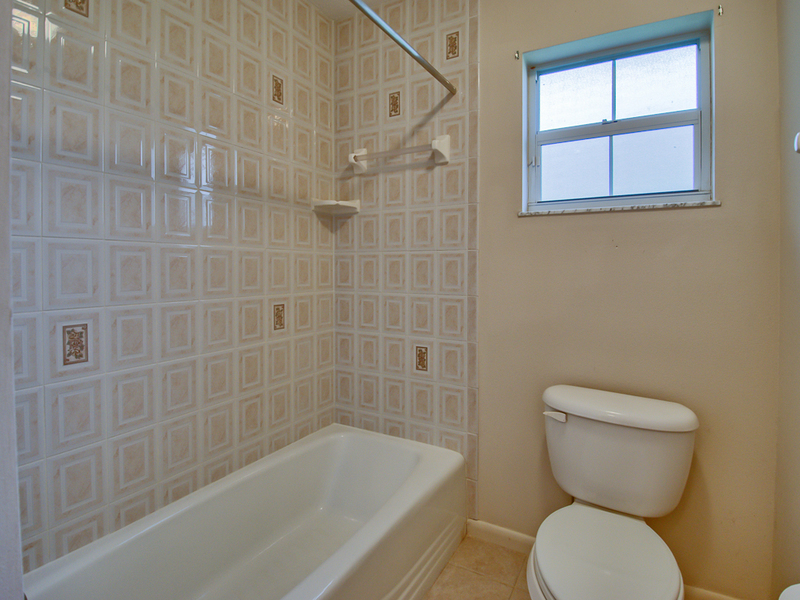 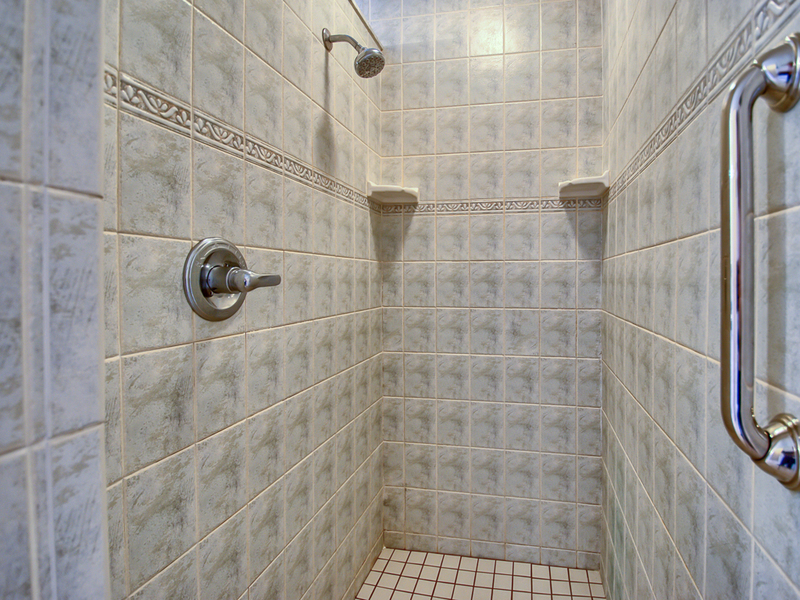 Three bedrooms and 2 baths span the south end of the home, and each has privacy. 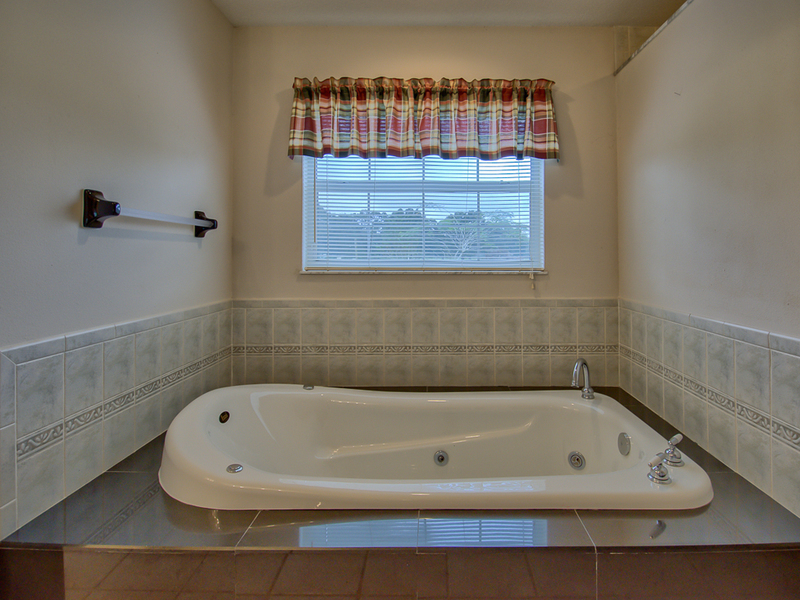 The Master suite offers French doors to the lanai, a spa tub, dual sinks, roman shower, dressing area and two large walk-in closets. 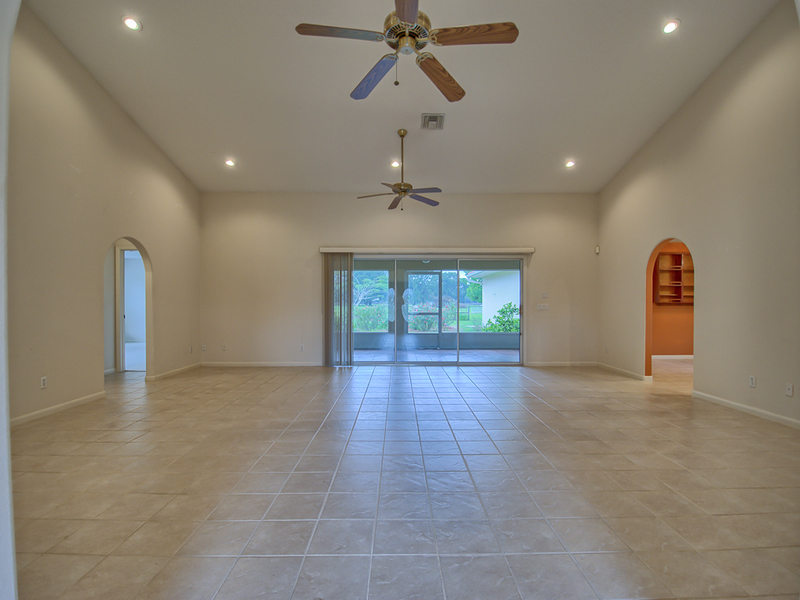 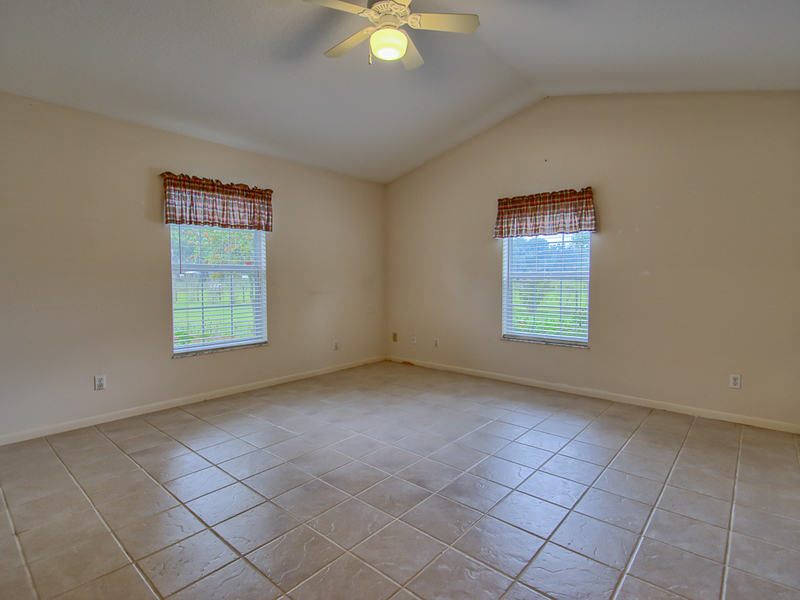 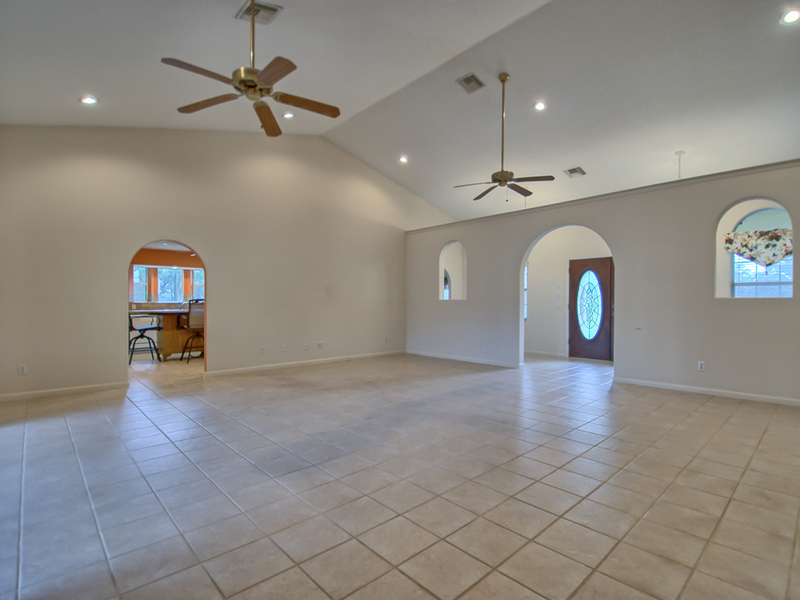 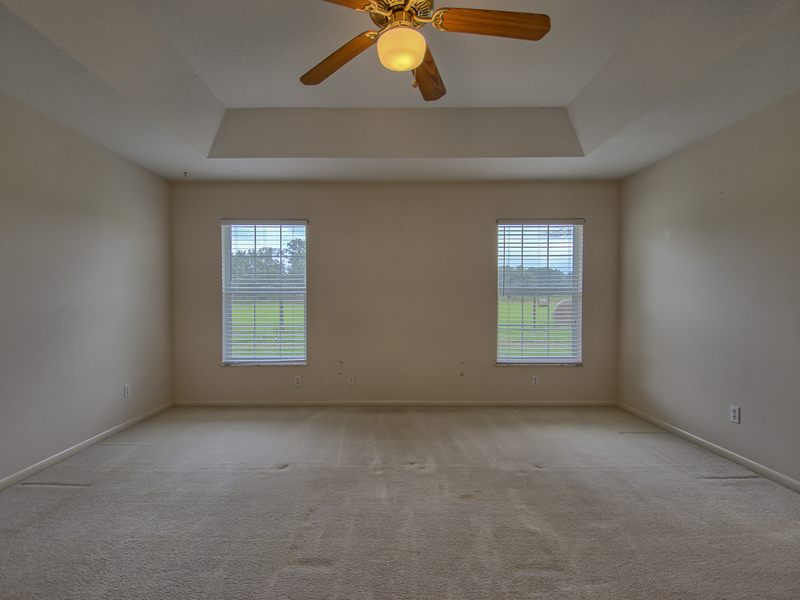 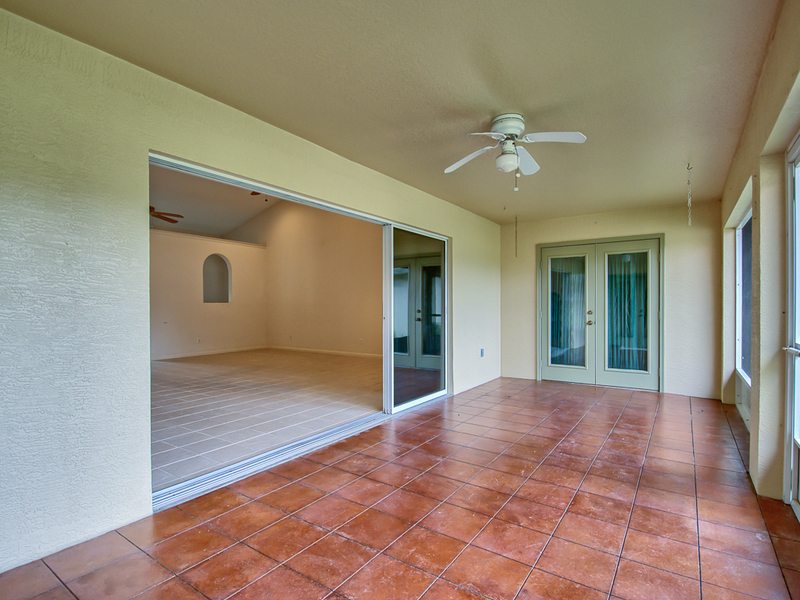 The great room is spacious and airy with an expansive ceiling height and sliders leading to the lanai. 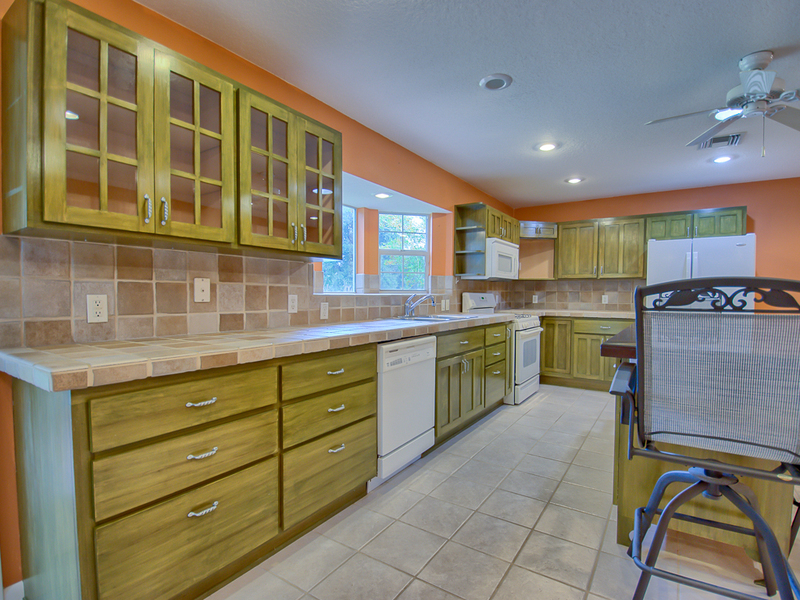 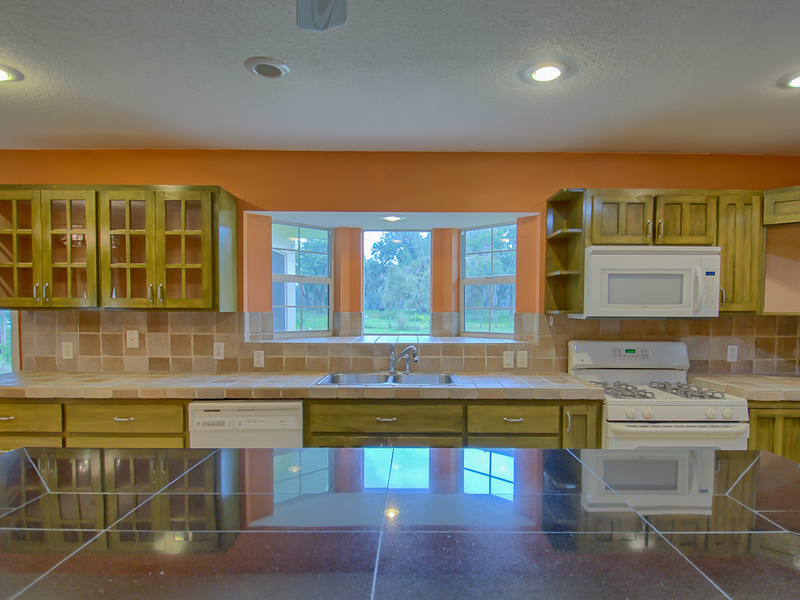 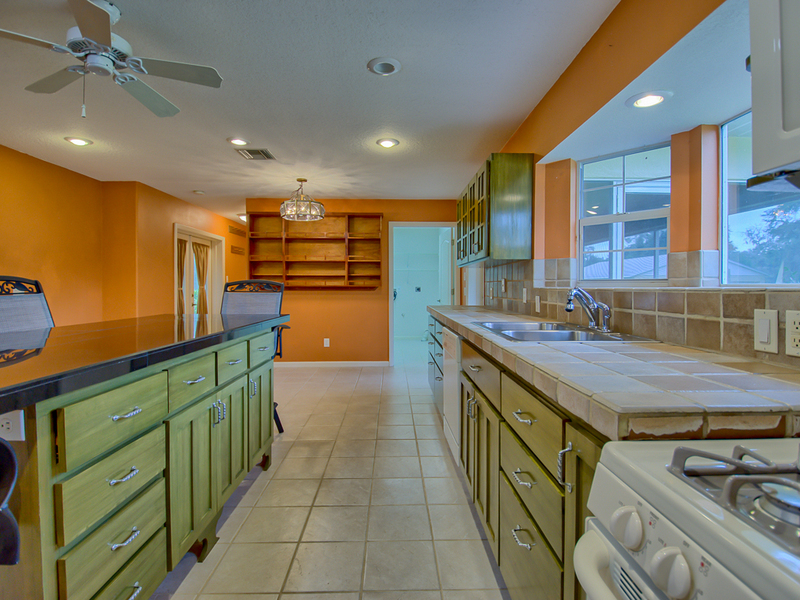 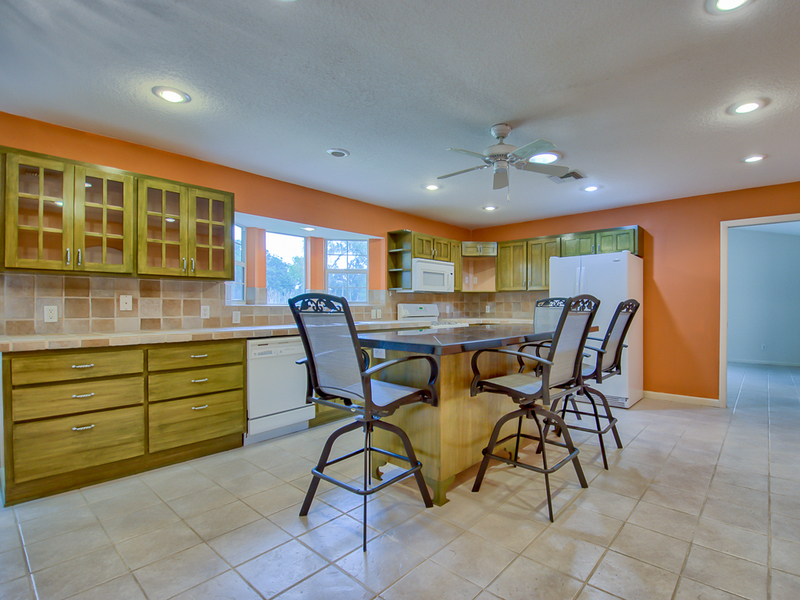 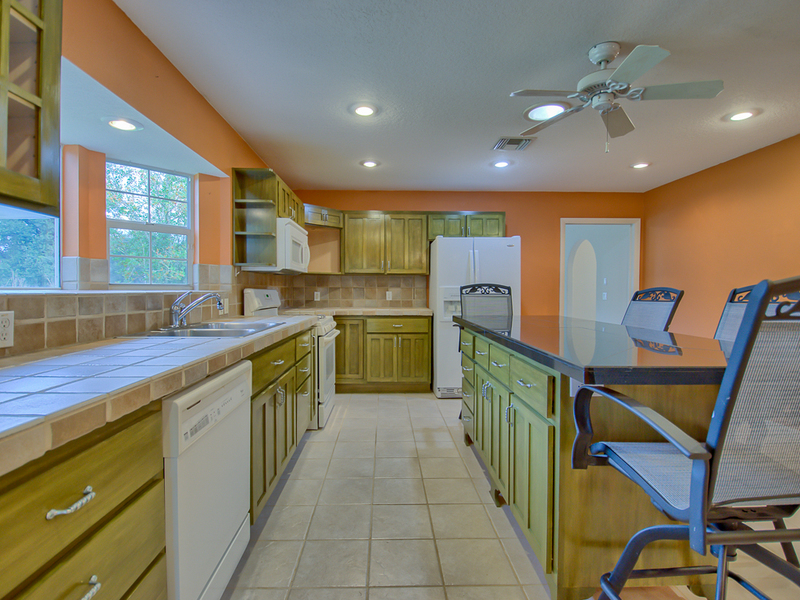 A cook's kitchen awaits with a generous marble-top island, gas stove, custom cabinets, and storage galore! 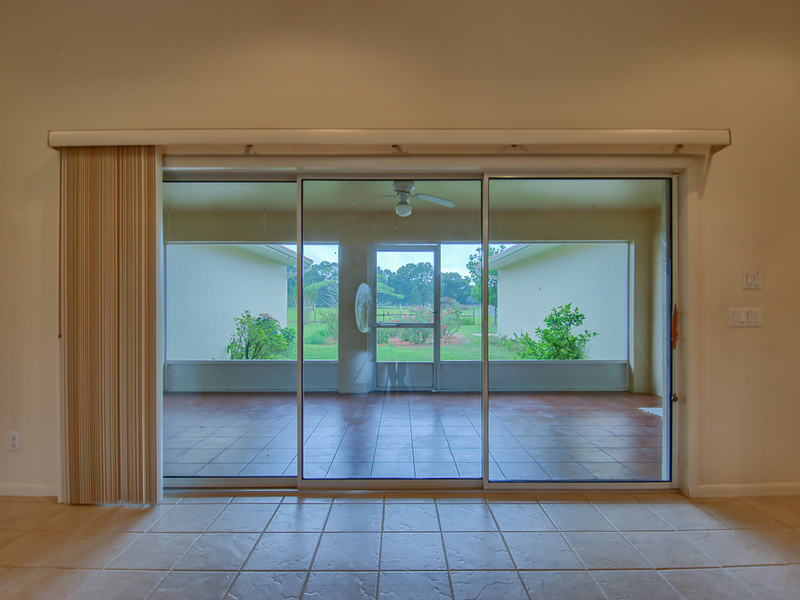 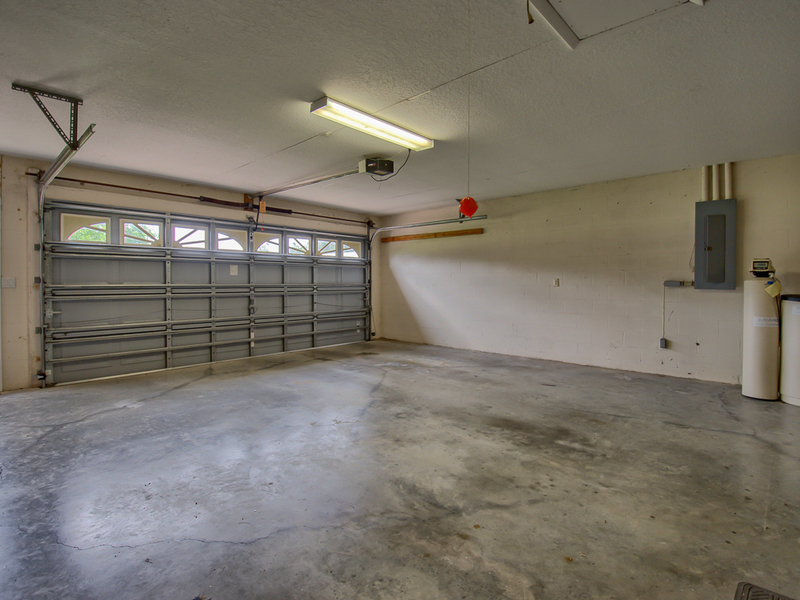 An inside laundry/pantry adjoins the kitchen and just around the corner is a 1/2 bath at the garage entry and another set of French doors leading to the lanai. 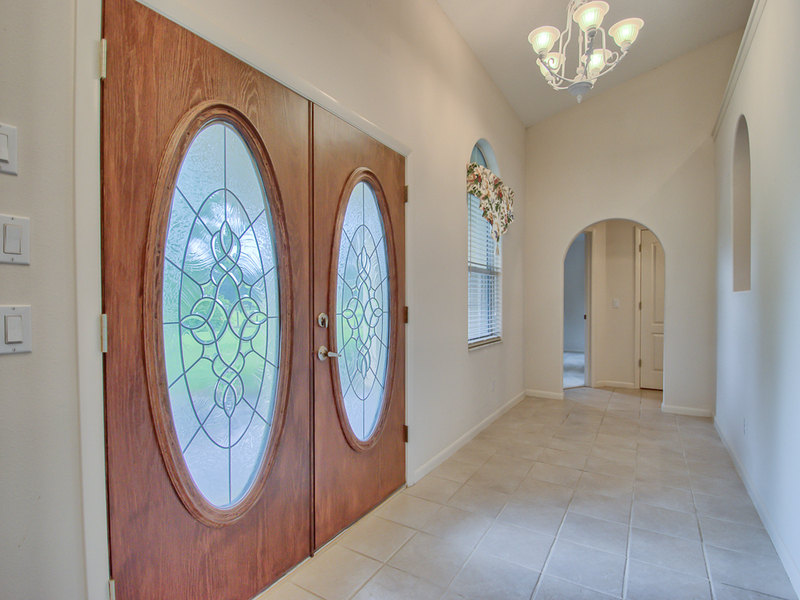 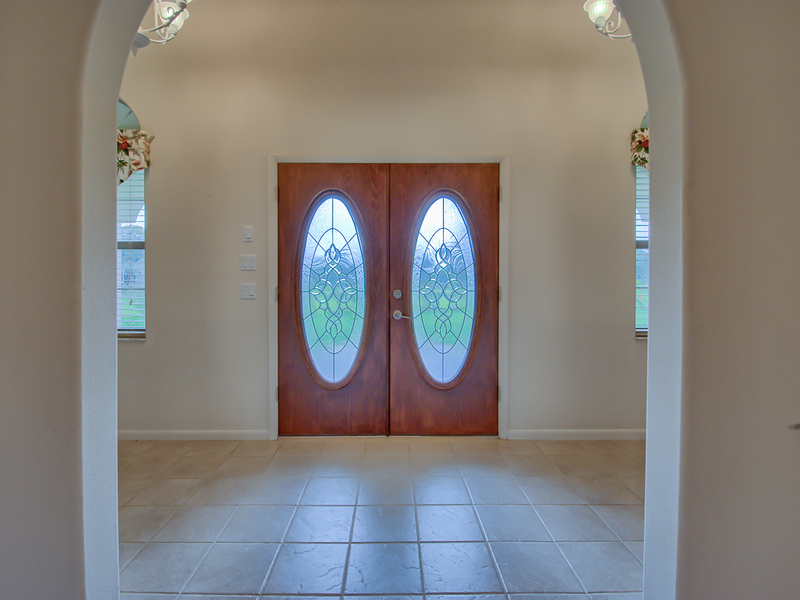 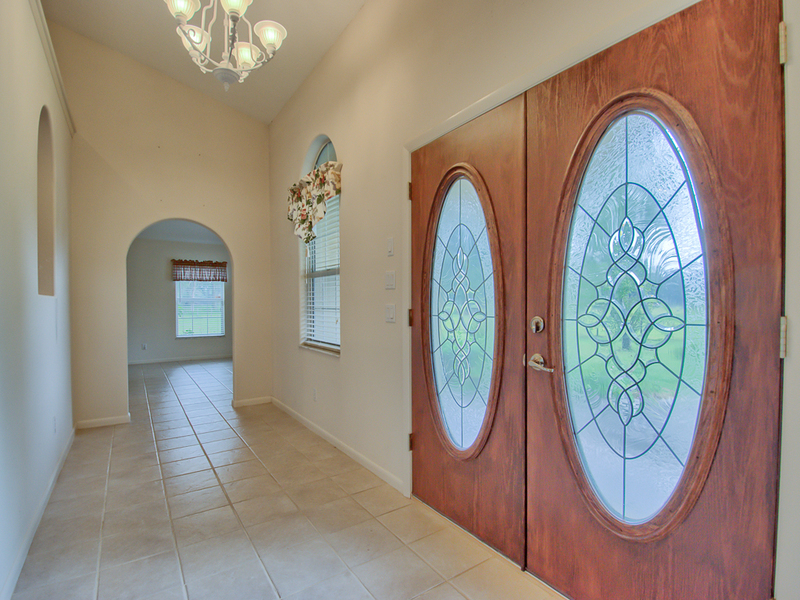 Archways throughout provide lovely architectural detail. 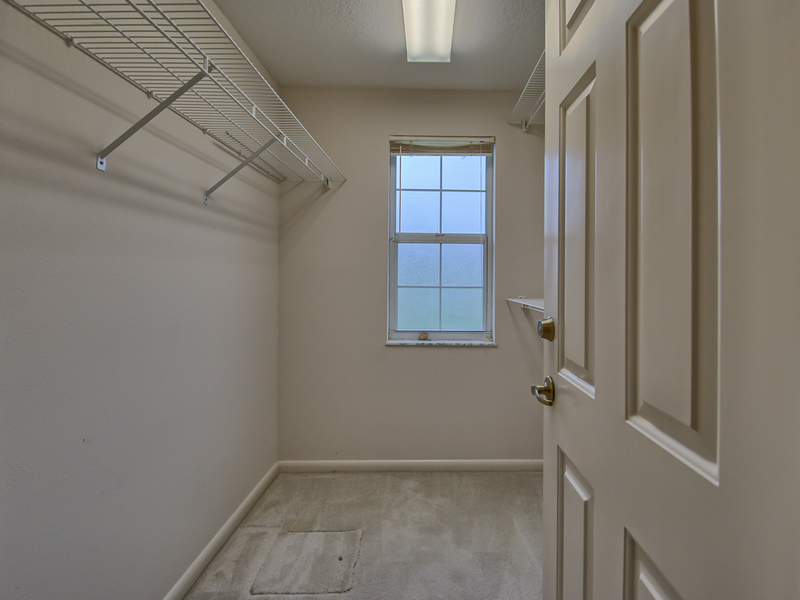 A hurricane proof room with floor safe is an added bonus! 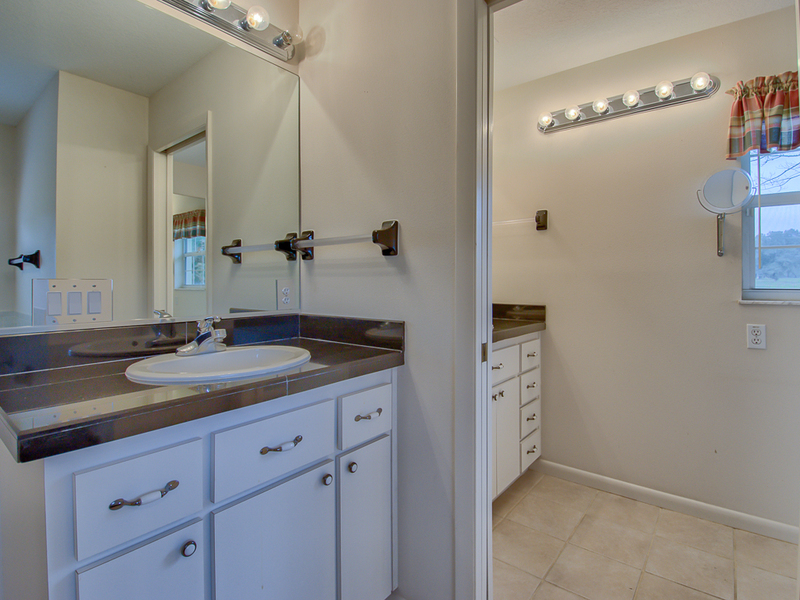 NEW air-conditioning unit and hot water heater. 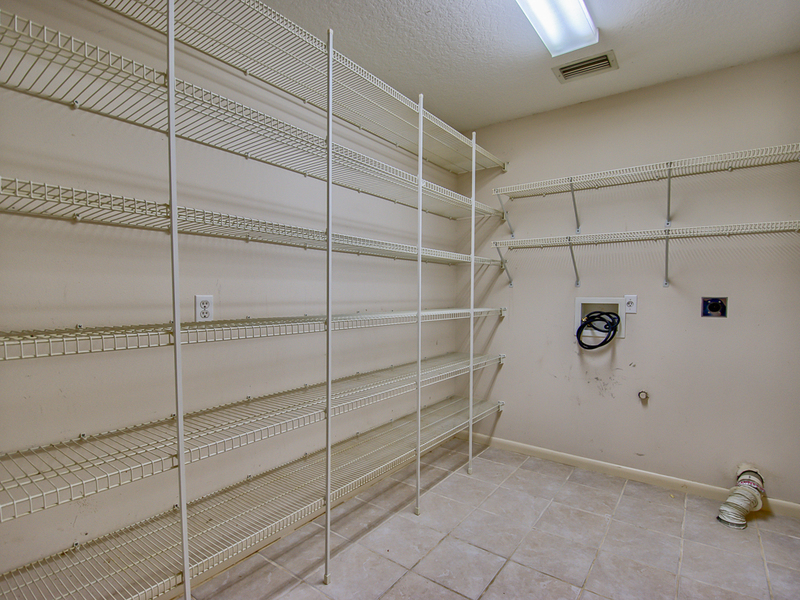 Air filtration system. 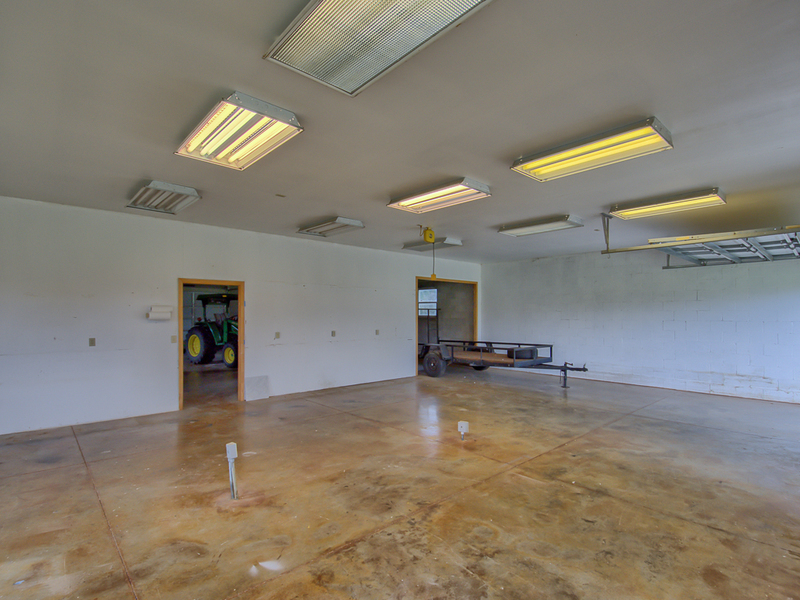 The quality outbuilding consists of 2400 sf with office and vehicle doors; it can be used as a workshop of any kind and/or converted to a horse barn. 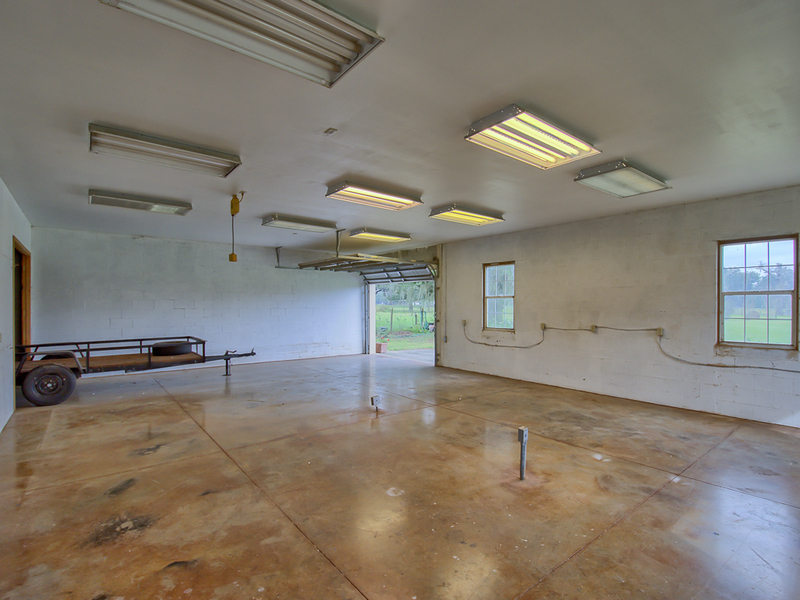 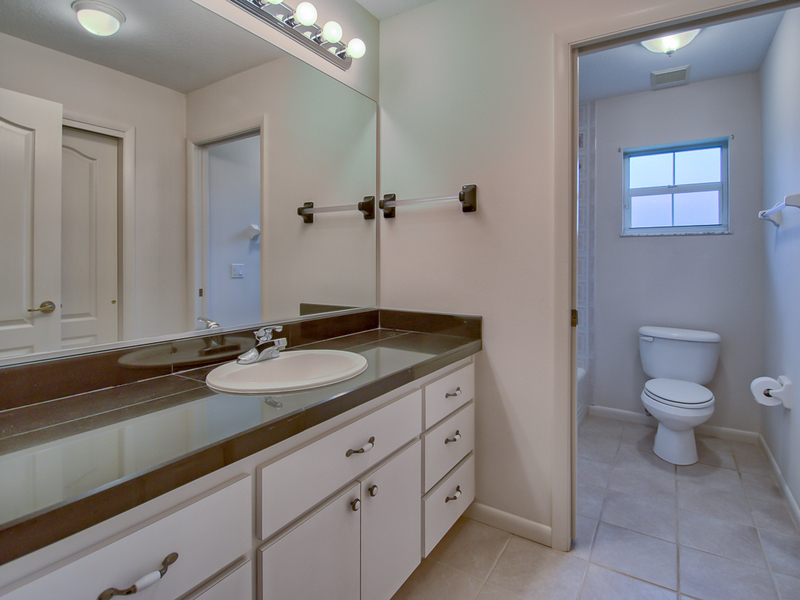 The building has plenty of electrical outlets (including 220V) & ample of overhead lighting. 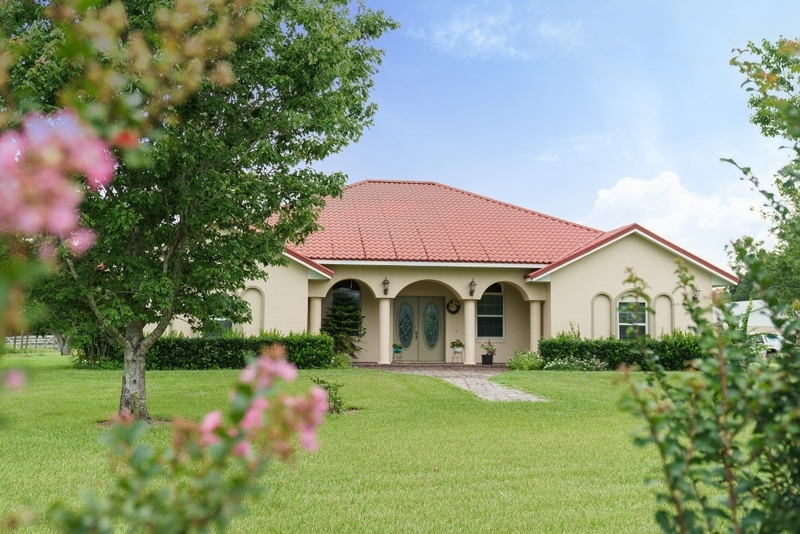 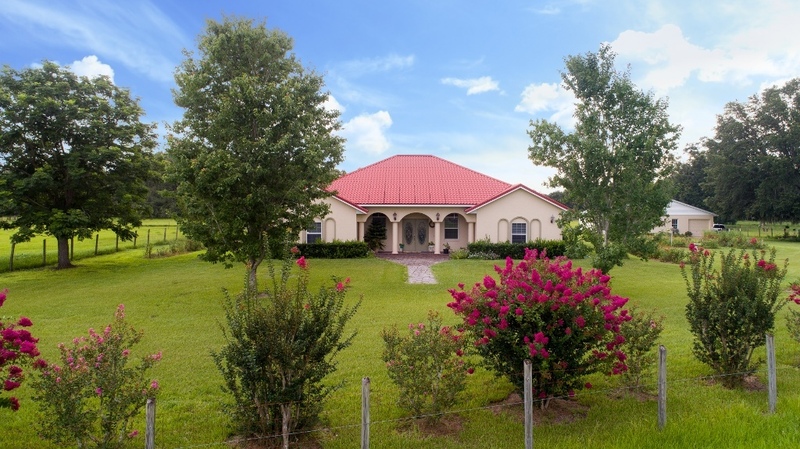 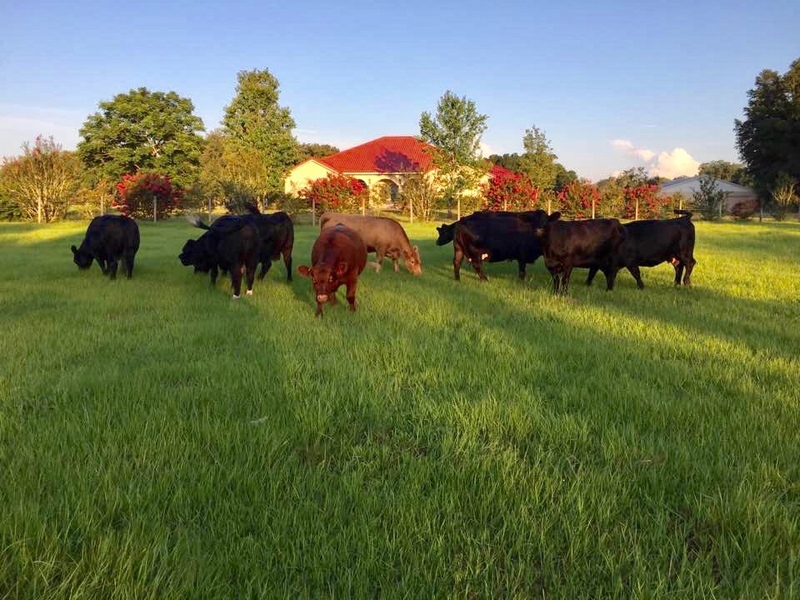 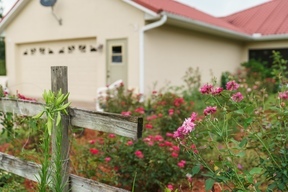 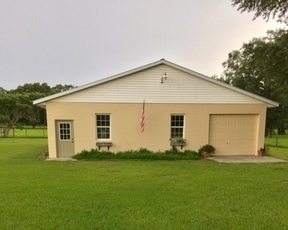 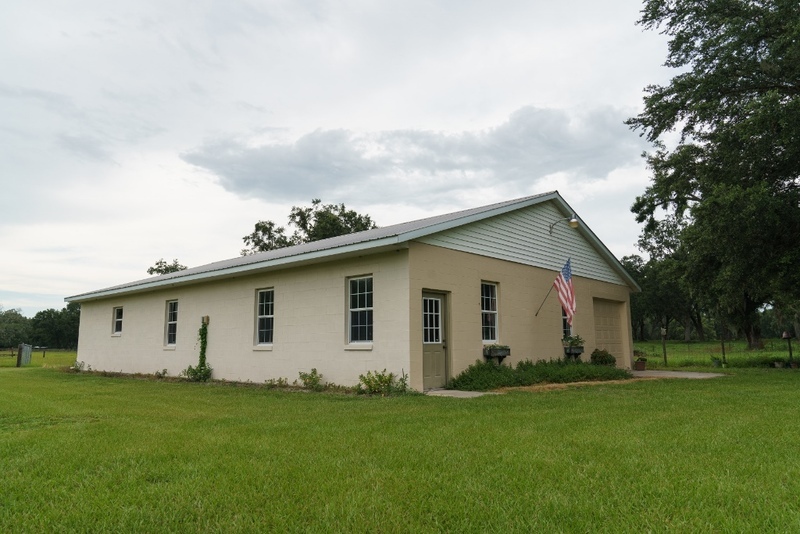 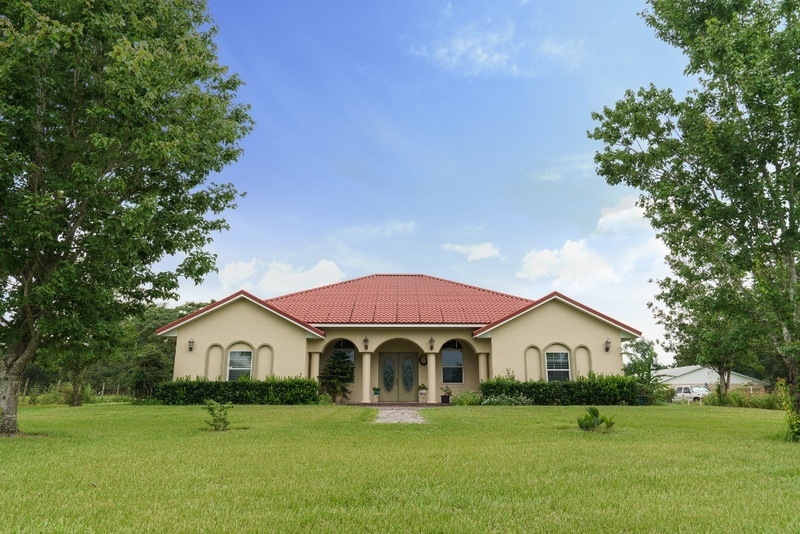 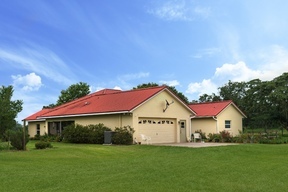 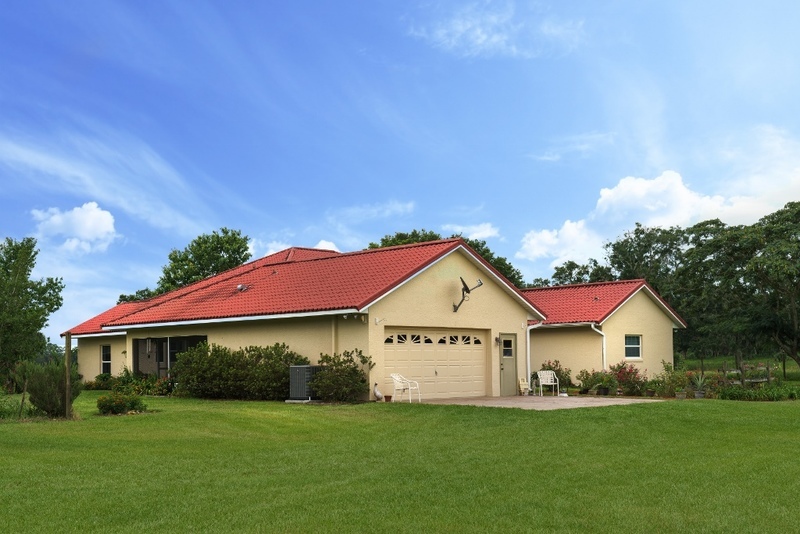 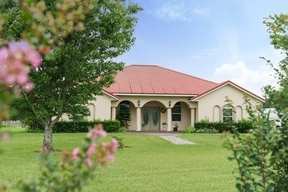 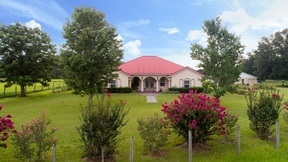 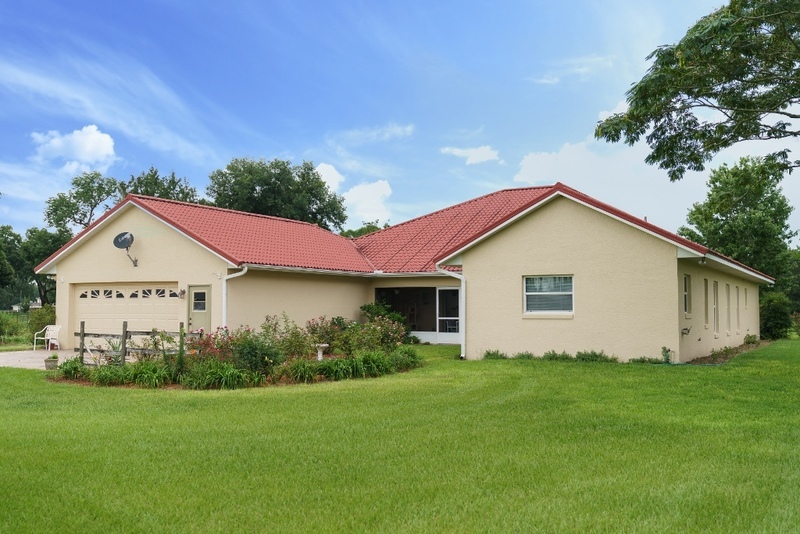 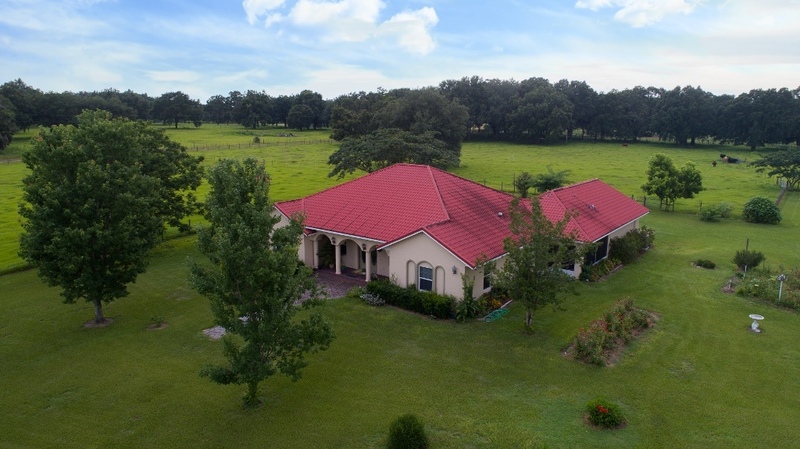 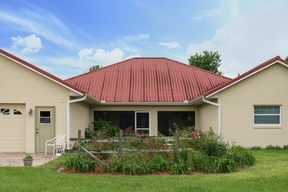 This could be the farm of your dreams, with a location that is convenient to Ocala (15 minutes to horse park), Tampa or Orlando - easy access to I75 or the Florida Turnpike is just minutes away. 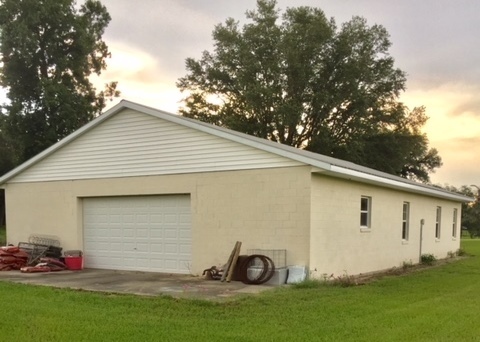 Additional 9.8 acres for sale @ $149,000.